In February, Women Winning Online turned one. Much like we celebrate a baby turning one, I wanted to do the same for my blog, my readers, and for me! 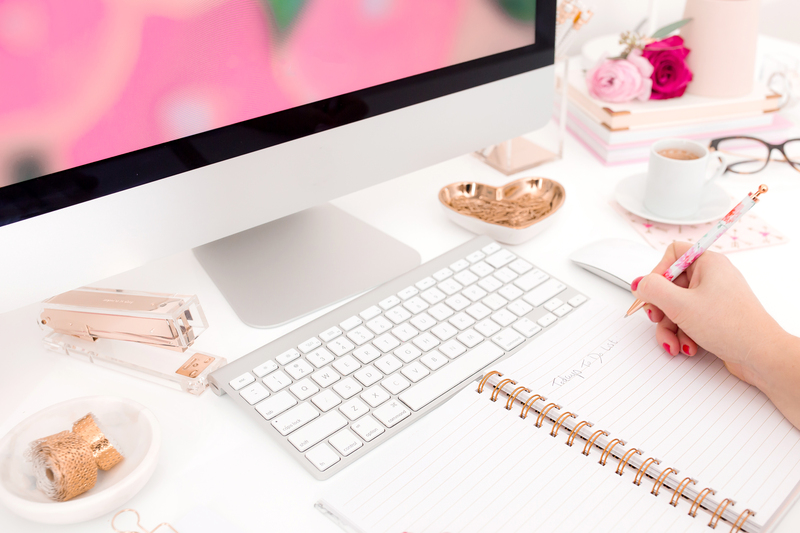 The first year blogging can make or break a blogger. Many bloggers give up after six months. Blogging is hard, getting traffic is hard, and making money is hard. But you know what else blogging is the first year? One thing all new bloggers need to know is their audience. Just like an actor needs to live and breathe the new role he is playing, so a new blogger needs to live and breathe like their audience. Once you understand your audience’s problems, hopes and dreams – then you can create the perfect content that will convert and create life long customers. Before you hit publish and your first blog post, write out your niche. What topics will you write about? Brainstorm some topics that you want to cover, then review to ensure that your niche is not too narrow that you will run out of topics. On the other side, ensure that your topics can easily be defined to avoid too many topics that will be difficult to engage with readers. Have an editorial calendar and stick to it even if you change the actual post content – get a routine going! That it’s not going to be easy; you’ll get bored, disillusioned and that it’s not a get rich quick scheme. That it’s always easier if yo choose to blog on topics you’re really passionate about. I think it’s crucial to identify your main goal for blogging. Is it purely a hobby? Is it to make money? Are you hoping to grow your business? There are so many reasons to blog, and it’s important to focus on your reason and not get distracted by why someone else is doing it. It would help if they have a clear plan of who they want to reach, why they want to do it and if it is only a hobby, a business or a long-term objective. I started my blog mainly because I figured that within 10 years from now, I could earn a decent income to be able to retire! Join blogging groups and interact. You learn so much and make friends. Do not compare yourself to other bloggers. This is not a competition. That it is ok & normal for your blogging goals/perspective/brand to evolve as you learn. All new bloggers need to know that the key to finding your people is being yourself. The better they know themselves and the more they foster their creativity and intuition, the happier they will be and the moe they’ll be able to connect with the people they are meant to serve. Blogging is a huge task and can get very overwhelming very quickly. Without that feeling of self-worth and a sense of experimentation, it is easy to lose steam and stop blogging altogether. Do not start a blog with the intention of making money. Start writing about something you LOVE. People can spot the difference from miles away. Be authentic and go for it! Don’t blog about what you think will be popular. Write about what you love and are passionate about that authenticity will come through. 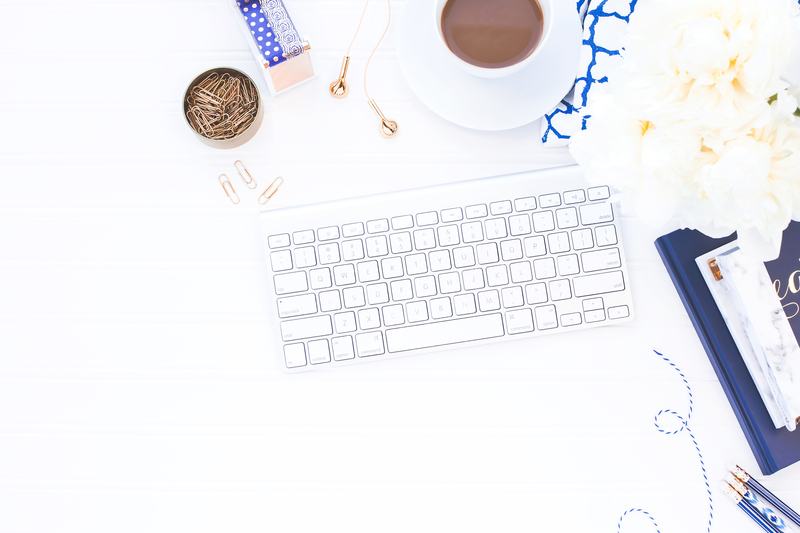 Blogging is a marathon not a sprint so don’t feel discouraged if you feel like things aren’t “clicking” for you right away. Proficient blogging comes with time, energy, and patience and it’s only with consistent effort that the fruits of your labor begin to blossom. Keep this in mind on the days that you feel “low” because it’s perfectly normal to struggle along the way. In fact, the struggles and challenges are what makes the little blogging victories and milestones so exciting to celebrate. 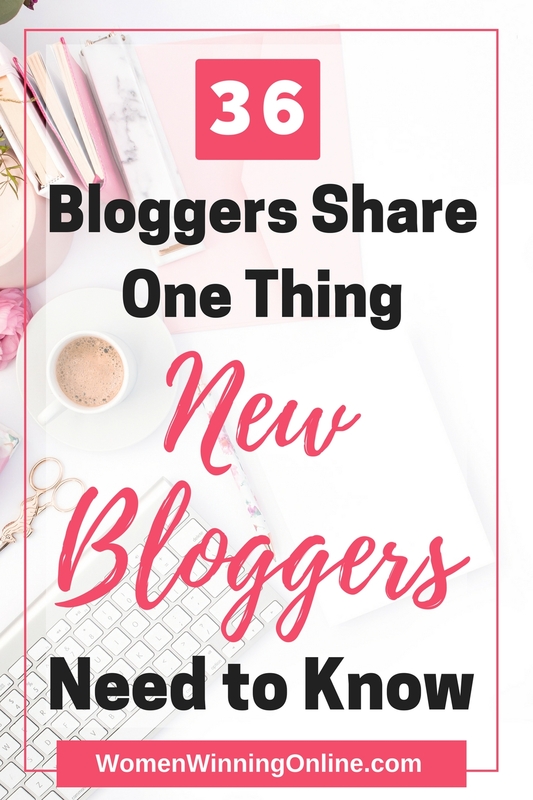 New bloggers need to know that all bloggers started out as new bloggers. Don’t compare yourself to someone who has already “made it”. It’s okay to set that as a goal for yourself, but know that it takes time and effort to get there. Blogging is not a race. It’s a marathon. A marathon you need a lot of other people’s help to complete. Take everything one step at a time and make sure to start building your email list early on. And have fun with it!! “I just can’t mention only one thing, so I will mention two :). Write useful, practical, engaging blog posts and be consistent. The content of your blog will make people come back. The better the content of your blog becomes, the more you will help people and the more they will come back for more (which will increase traffic to your blog). Also, consistency is very important. Regular blog posts and regular posting on social media where your target audience is. How often should you post on your blog? The best schedule is the schedule you can stick to and that doesn’t make you feel overwhelmed. Can you post 3 times a week? Great! Keep going. Can you post once a week or once every 2 weeks? No problem! Keep going, but always show up for your readers. It’s not going to be perfect ever so just post it, start! You will improve so start TODAY! I think many new bloggers feel like they need to wait until they have a minimum of 15-20 posts written before they can officially launch their blog and create an email opt-in. I believe there is no need to wait! If you have an idea for an opt-in, go for it. Set up a landing page and get it circling around Pinterest. I recommend you start building your email list (and your confidence) from Day 1. Have a passion. Blog what you know and love otherwise you’ll run out of content way too quickly. Non-hosted and self-hosted blogs are different. A strong niche before they step into the blogging life. New bloggers need to know that this is their “race.” They are competing only with themselves, as no one can give what they can to the blogosphere. They are incomparable and need to remember that every day they are working on their business. There are no over-night success stories. In the words of Picasso: “It took me 30 years to be able to do this in 30 sec”. Plan ahead, get clear on your goals, show up and do the work. As simple as this… there might be shortcuts and down falls along the way, just bear in mind you’re here for the long run! Consistency is the biggest precursor to success. Not followers, not traffic, not anything else- consistency! It’s a lot of work, but if you love it, it doesn’t seem like work! Get a self hosted WordPress site from the beginning. Switching over is a pain. I know from personal experience! Know your ideal audience and customer persona! Just start writing posts. Everyone is a beginner at the beginning. Progress comes before perfection. You’re always going to be pulled in a million different directions and have so many different things you want to try. It takes discipline to focus on the most important work, things like creating content and growing your list, but you’ve got to focus if you want to be successful! Everyone starts at zero. No matter how farther along everyone else seems to be, they started at the same place you are right now, so don’t get discouraged at your lack or pageviews or you lack of conversions at any given point in time when you first start out. The key is to continue and refine your strategies, learn and keep moving forward because tomorrow there will be someone who is where you are today. You need a beautiful, professional website. Many new bloggers do the right things, they write good content, comment on other sites, try to build a following on social media, join communities of bloggers, etc. Often time they ignore one basic thing: first impression matters. Free themes for WordPress are ugly, but a premium theme costs around $100. An email marketing service, quality plugins and a good hosting that ensures your site loads fast, also can be more costly. If you start blogging from passion, not for financial profit or you are just not willing to invest money before earning anything, then you should be aware that there are other options to create an attractive site, besides WordPress dot org. You can use website builders, like Wix or Squarespace to create a stunning website for free. For example, with Wix, you can create a new site very fast, even if you don’t have any coding skills. They have hundreds of beautiful templates and a huge free photo bank that are free. Also, every website has its mobile version which is free, and you can set it any way you want. Use the Grammarly extension to help with typos. Most people don’t skyrocket to success, it takes time and patience. You do not need to have it all together. There is always going to be something to do, and the best thing you can do is not allow yourself to get overwhelmed. Enjoy the experience of starting your own blog instead of allowing yourself to get bogged down by all the people around you who make it look so easy. Enjoy learning the business of blogging. Action! Don’t wait until it’s perfect, jump in now! I would love to hear your thoughts on this post. 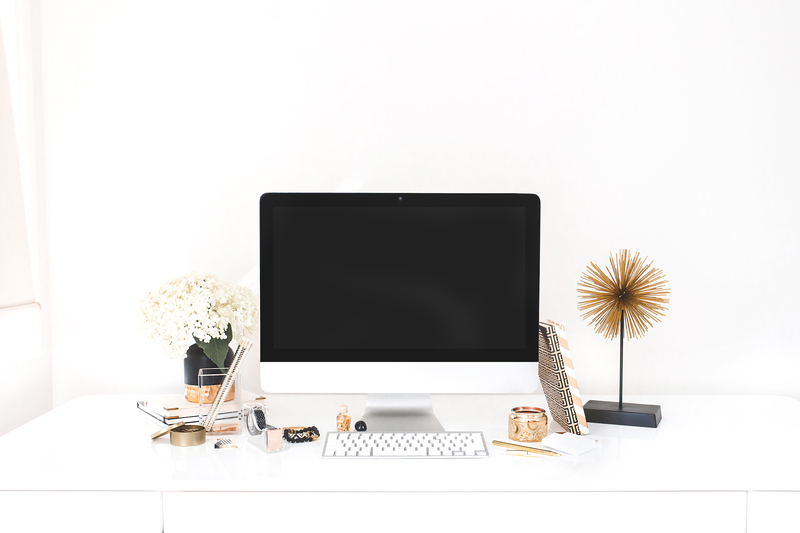 What would you add to the question: “What is the number one thing all new bloggers need to know when they are first starting out blogging?” Please share your thoughts with us in the comments below! Thank you for including me in this incredible roundup! You are more than welcome, Eden! Thank you for being such an inspiration! Great post, lots of food for thought there. Thank you for your kind words, Maria! I hope it helps you on your blogging journey. Thank you for commenting and let me know if there’s anything I can help you with! I’m honored to be included with so many successful ladies! I also loved seeing how the same common themes came up over and over again. I think in many ways that should reassure us all because it means things like “don’t compare yourself to others” and “it’s a marathon, not a sprint” really are true! It was a pleasure to include you, Emily! There’s so much we can all learn from one another including to learn to not compare ourselves to others and that it definitely is a marathon! I love this post! It’s so encouraging. It’s too easy to get overwhelmed by what we see from other blogs, what we want to achieve and the huge work that is behind it. Thank you! Thank you, Lea! It can all be overwhelming especially when we compare ourselves with other blogs/bloggers and from what we want to achieve. Thank you for commenting and don’t hesitate to contact me if there’s anything I can help you with! Great advice here. I just launched my blog about a week ago. It’s a lot of work but it’s worth it. Thanks. Kasia, yes, blogging is a lot of hard work, but it can be so rewarding in many ways! Congratulations on your blog launch! 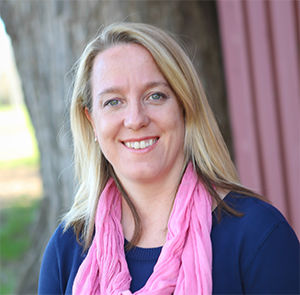 Don’t hesitate to contact me if I can be of help during your blogging journey. Thank you for commenting! So many ideas to learn from! I love this! Thank you for featuring me, Jen! It was my pleasure to feature you, Alina! There’s so much to learn from all the bloggers involved and it was fun to put this post together to showcase that. Thank you for commenting! Jen, Thanks for including me. I will also add find a mentor. She will make your life so much easier. You’re so welcome, Tamara! It was a pleasure to include you in the blog post and I agree that a mentor can make life a whole lot easier! Thank you for commenting! Hi Jen, thanks for including me too! If I can add one more point-: You may read it takes some people 5/10 or 30 minutes to write a post and when it takes you days you feel discouraged. Don’t! I am realising the value of one good pillar post, something evergreen that keeps sending visitirs to your site each and every day! Amanda, that’s so true! There’s absolutely no need to feel discouraged for the time it takes to write a post. There’s no time limit or deadline in writing/creativity. However long it takes to write something valuable to your audience that’s what’s important. 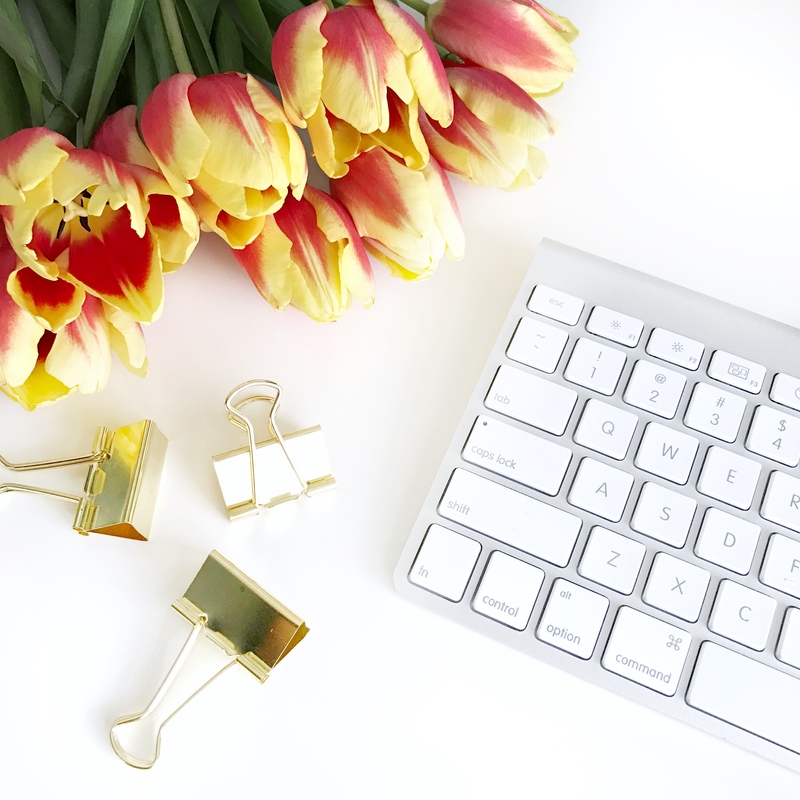 Thank you for letting me share what you have learned about blogging and for your comment! Wonderful tips! Definitely agree on creating an editorial calendar. Before, I just write whatever comes to mind, but when I started creating an editorial calendar, I became more organised. Thank you, Sammy! It helps tremendously to have an editorial calendar to become more organized. Thank you for commenting! Thank you for this! It’s definitely been (and continues to be) a marathon for me. Knowing others are and have dealt with the same things is encouraging and pushes me to not give up! You’re welcome, Brenna! I’m happy to hear that this blog post has been encouraging to push forward with your blog. It definitely is a marathon, but worth it! Thank you for commenting and feel free to contact me if there’s anything I can help you with. Thank you for your sweet words, Erin! I am so glad this post encouraging. There’s so much to learn from one another, and likely if it’s not genuine, it won’t be helpful to the audience taking in the information. Persistence and hard work will get you further in the long run. If you have any questions please feel free to contact me. I would be glad to help! I started my own blog a few weeks ago, last week I finally found the courage to tell my friends and family about it on social media. These tips are really helpful! Thank you! Yay Jessie that is so exciting! Congratulations on starting your own blog– it’s a fun journey. I am glad this post helped you too! I am currently a new blogger and I love this post! For me, I feel like constantly doing research has helped me so much. I have joined facebook groups, watched so many tutorials, and found that people really do know what they are talking about! I’m so excited to continue my blogging journey. That’s awesome Rachael! I’m glad your research and diligence have paid off. Thank you for commenting!